Peanut Butter No-Bake Cookies – Chewy and full of creamy peanut butter flavor! Made with simple ingredients and are ready in minutes. These no-bake oatmeal cookies are the perfect treat to whip up in a pinch! If you’re a peanut butter lover like me, these peanut butter no-bake cookies will become a fast favorite! They’re packed with creamy peanut butter flavor and are so easy to make! You’ll also love my no-bake peanut butter bars, peanut butter blossoms and chocolate peanut butter protein balls. Happy National Peanut Butter Day! I’m a big fan of peanut butter and use it all the time. 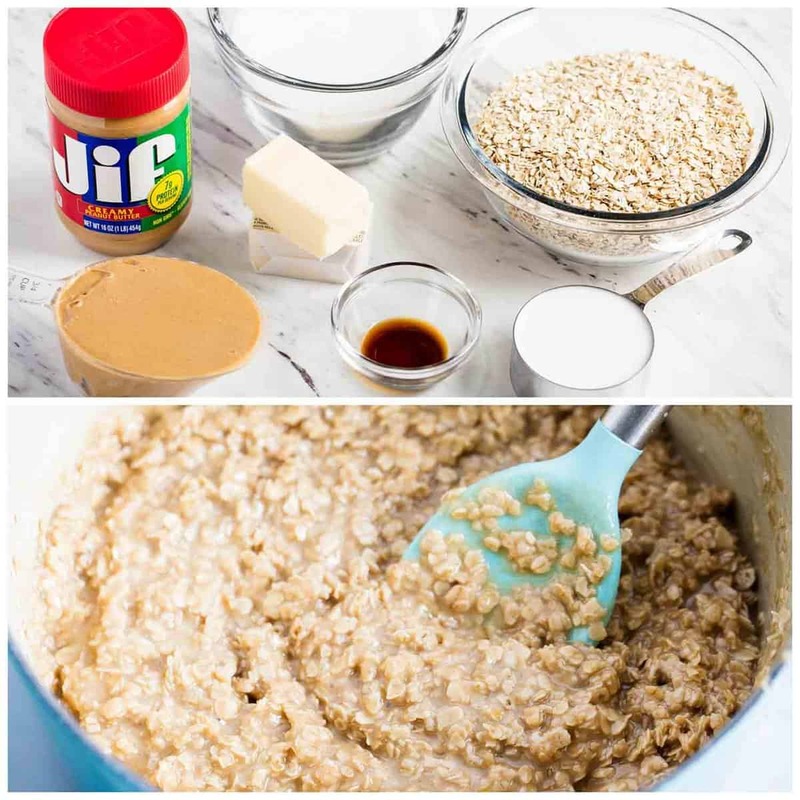 We always have a jar of Jif Creamy Peanut Butter on hand and definitely put it to good use. :) I bake with it, add it to smoothies, make PB&J’s for the kids and even grab a spoonful (topped with chocolate chips of course) when I’m craving something sweet. To celebrate the day, I’ve whipped up a chewy peanut butter no-bake cookie recipe that’s full of that creamy and delicious peanut butter flavor! 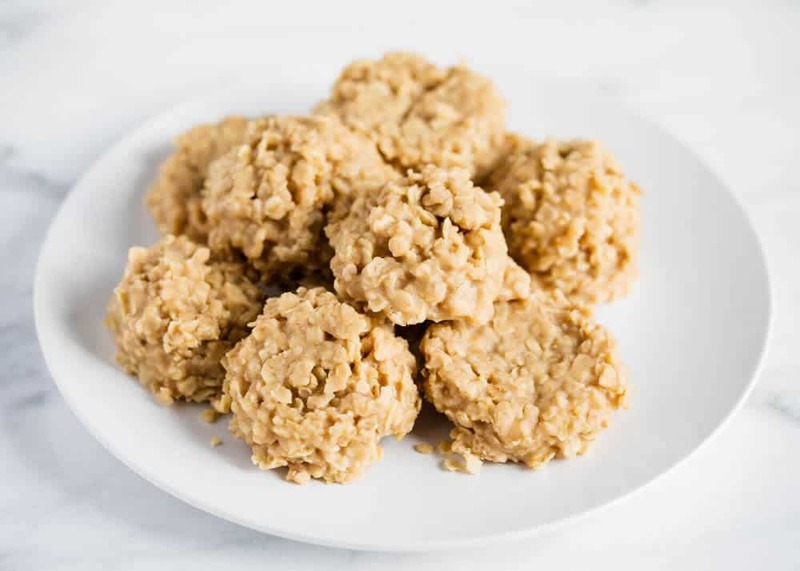 These no-bake oatmeal cookies are so easy to make and only take 10 minutes to prep. Plus I guarantee that you likely already have the ingredients on hand, which make them the perfect treat to quickly throw together when you’re in a pinch. The peanut butter no-bake cookies were a big hit with my family and were gone so fast! Next time I might even double the batch and stick half in the freezer so that we’re stocked. They make the perfect grab-and-go sweet treat and taste absolutely amazing! 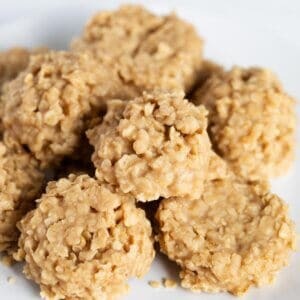 The best thing about these no-bake peanut butter oatmeal cookies is that the ingredients are so simple. 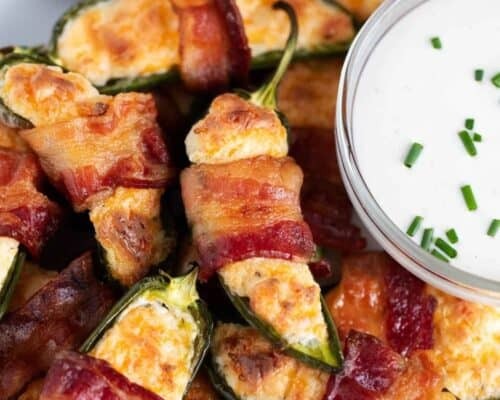 You most likely already have these in your fridge and pantry, which makes this recipe that much easier! How do you make no bake peanut butter cookies? 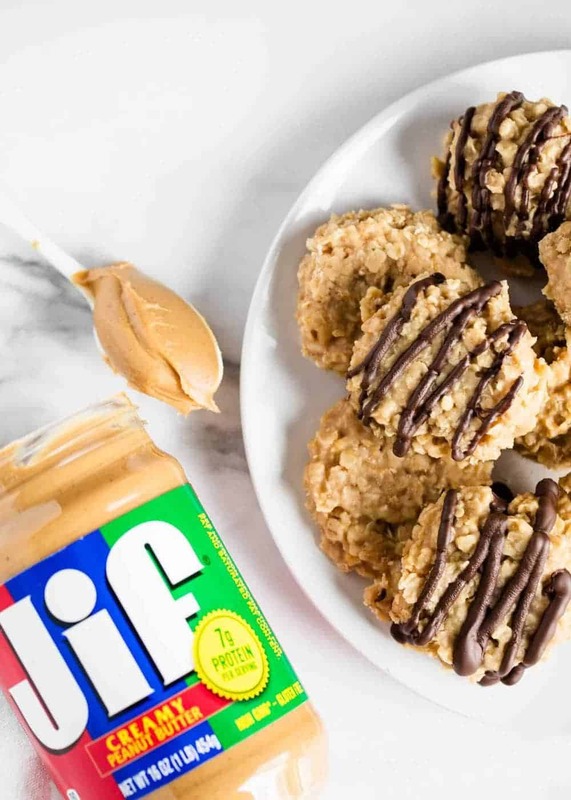 It doesn’t get easier than these peanut butter no-bake cookies! Scroll down for the printable peanut butter no-bake cookie recipe and video tutorial. In a saucepan over medium heat, combine sugar, butter and milk and bring to a boil. Boil for 2 minutes, constantly stirring. Remove pan from heat and mix in peanut butter and vanilla. Then add oats and mix until well coated. Drop batter by the spoonful onto the lined pan. Let cool until set, about 30 minutes. TIP: I like to drizzle half of the peanut butter no-bake cookies with chocolate. The chocolate adds the perfect touch of sweetness and pairs perfectly with the creamy peanut butter. So yummy! How do you store no-bake oatmeal cookies? The peanut butter no-bake cookies can be stored at room temperature in an airtight container or bag for up to a week. However I personally like to store them in the fridge, because it hardens the texture a little and makes them extra chewy. If stored in the fridge, they’ll last a few more days. Can you freeze peanut butter no-bake cookies? Yes! 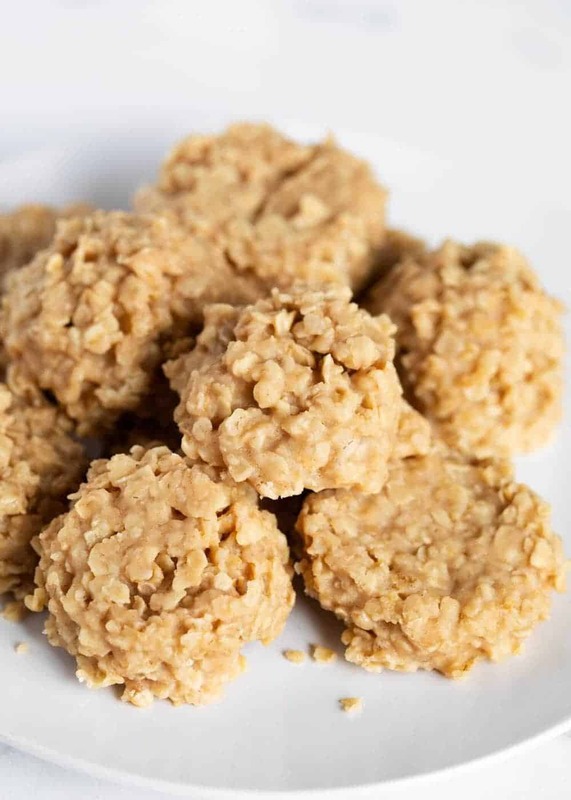 These no-bake peanut butter oatmeal cookies hold up very well in the freezer. Just store in an airtight container or bag in the freezer for up to 3 months. If you’re planning on freezing the whole batch, make sure you let the cookies set first before adding them to the container or else they’ll stick together. Peanut Butter No-Bake Cookies - Chewy and full of creamy peanut butter flavor! Made with simple ingredients and are ready in minutes. These no-bake oatmeal cookies are the perfect treat to whip up in a pinch! Combine the sugar, butter and milk in a saucepan over medium heat. Bring to a boil and boil for 2 minutes, stirring constantly. Remove pan from heat and stir in the peanut butter and vanilla. Add in the oats and stir until well coated. Drop batter by the spoonful onto the lined pan. Let cool until set. Optional: Drizzle with chocolate or top with a chocolate kiss. 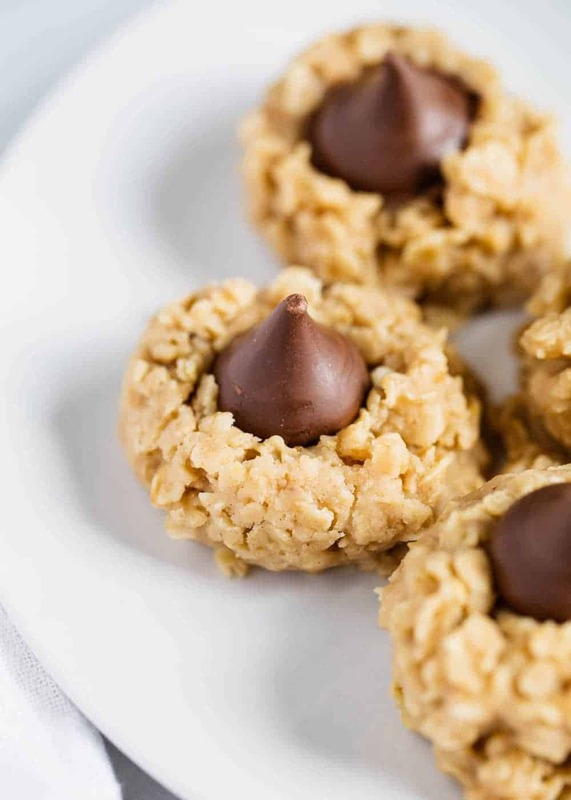 Sometimes I’ll top some of the peanut butter no-bake cookies with a chocolate kiss to add some sweetness. They look similar to a peanut butter blossom, but don’t require any baking! Once you drop a spoonful of the batter on your baking sheet, just press the chocolate kiss into the cookie immediately. Then let cool in the fridge until set. The chocolate and peanut butter combo is so yummy! What’s your favorite way to use peanut butter?! This post has been sponsored by The J.M. Smucker Company. I received product and compensation, but all opinions are my own. For more Jif and Smucker’s PB&J creative recipes and fun facts, visit www.lovepbj.com. I made these for an upcoming family celebration. To keep the recipe non-dairy, I subbed almond milk for regular milk. The cookies are delicious, but if you want to have plumpy cookies over flat ones, it is best to use a cookie scoop. I decided I didn’t want to clean mine afterwards, since I was on a time crunch, and my cookies are flat as pancakes! I made these with my activity day girls and then another batch just for my family and they were super yummy. Made the family ones super size! Beautiful no bake delicacy ! Keeper it is ! Such an easy recipe and they turned out beautifully! Thanks! 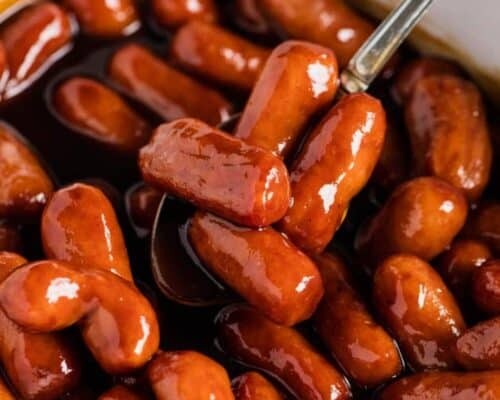 Such a classic recipe, these always disappear at our house! I make these all the time, they are delicious no matter how you make them, I love the no baking at all…best part besides they are yummy…..butterscotch morsels makes them even better…. My kiddos love these cookies! 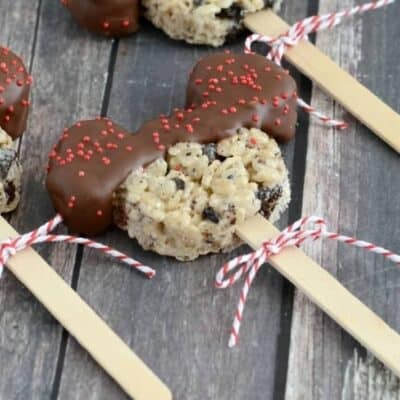 Such a fun no-bake treat! These are my new favorite cookies! They were so good! Yum! Peanut Butter Cookies are my favorite. Can’t wait to try them! I am allergic to peanut butter, so I make these all the time using WOW Butter, which is basically soy butter. It is a great alternative and tastes identical to peanut butter according to my family!